As many of you know, Derek and I have a lot to celebrate in December: our engagement, our wedding anniversary, Derek's birthday, and along with majority of the world, Christmas. It can get quite pricey, quite busy, and quite overwhelming. However, as I mentioned in my previous post, we try our best to eliminate as much stress that the season has the potential to bring, by saving year-round so that we can celebrate as our heart's desire! This December, we decided to challenge our calendars, increase intentionality in our marriage, and relish in the most romantic time of the year! I hope to encourage you and yours to do the same; during the Christmas season and every season thereafter! Now, I understand that this isn't the easiest and most realistic arrangement for many, especially with children. But I've witnessed that the first thing to get swept under the rug when life gets the best of you are: dates, romance, and one-on-one time with your spouse. Yet, it's one of the most important ways to nurture your marriage. So please, if not all, take some of these ideas and enjoy the gift of your spouse every opportunity you find! We decided to serve the homeless community of San Francisco. It's always nice to begin a season of giving, as well as a series of dates, recognizing how blessed we are and how to use those blessings to bring joy to those who might be extra cold, extra lonely, extra hungry, and extra joyless during the holidays. Together with Derek's family we brought nearly 80 queen sized blankets, pupusas (a Salvadorian staple, yum), and drinks to the streets of SF. We took the handgun to the range. This might not be the most festive of dates, but we tried to keep our activity list true to our interests, and this is one of them! Jackson Arms in South San Francisco is a great and affordable place to practice your shooting and gun handling skills. Just remember to dress warm, it's awfully cold in there! We grabbed our first holiday cups of the season from Starbucks and hiked up Sign Hill to the Christmas tree! Nothing screams romance more than hot drinks, chilly nights, a ginormous Christmas tree, and a scenic view of your hometown. Don't underestimate quality time, chatting on a hill, with sparkling lights galore! 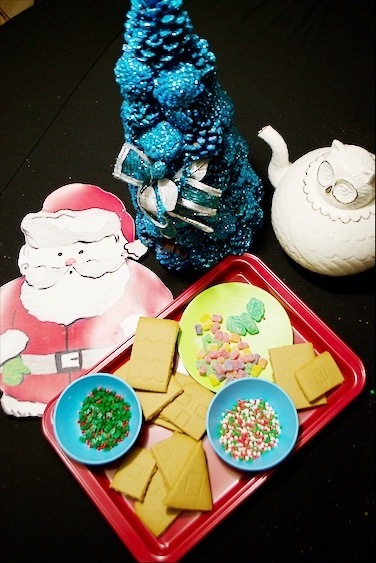 We made some Christmassy treats with loved ones. This is a winner if you have children of your own, or loved little ones in your life! In keeping with the festivities and including the smaller folk around you, it makes for a lighthearted evening filled with sweets and laughter! Who said dates were only meant to be had alone? Enjoying the simple moments in private as well as in great company, is key in investing in your relationship! 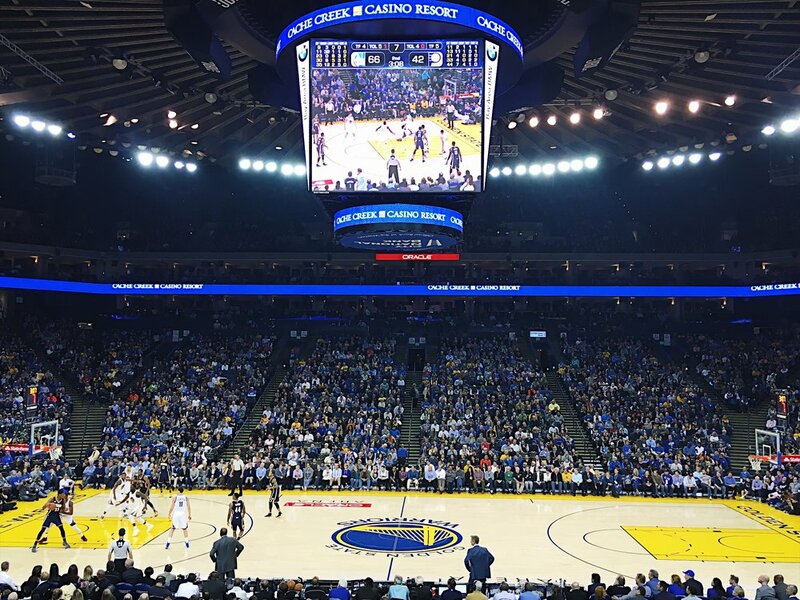 I scored us an amazing deal on Seat Geek to the Golden State Warriors Game! 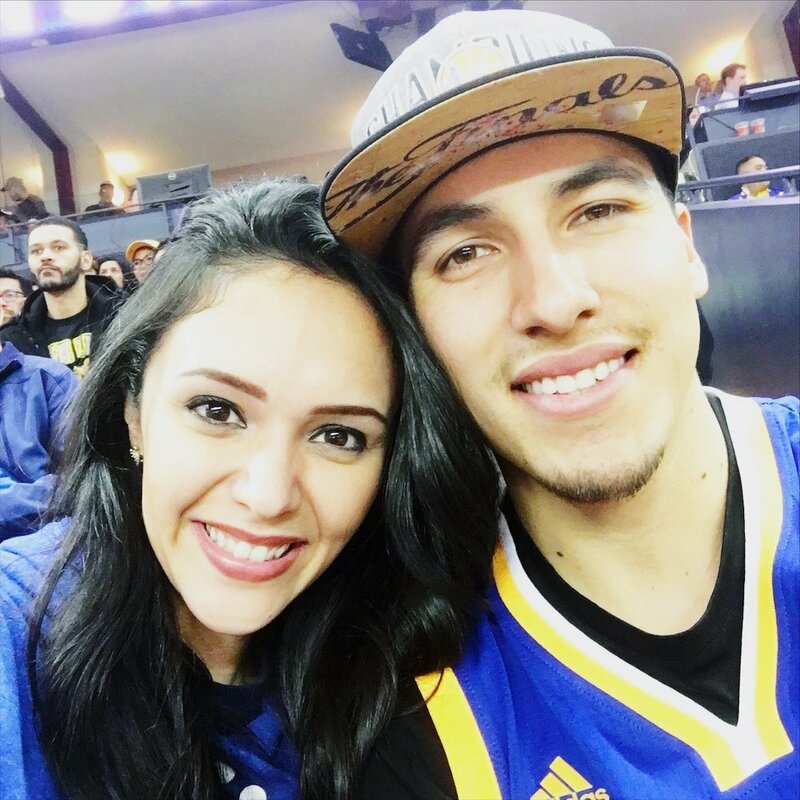 We are big fans of the Warriors and were absolutely enthralled to attend what will probably be our last home game living in the Bay Area - this made it extra special! Not to mention they beat the Pacers 142-106, and Klay had a 60 point game! PS. Making friends with the sweet ushers is a must! We got upgraded seats in minutes! 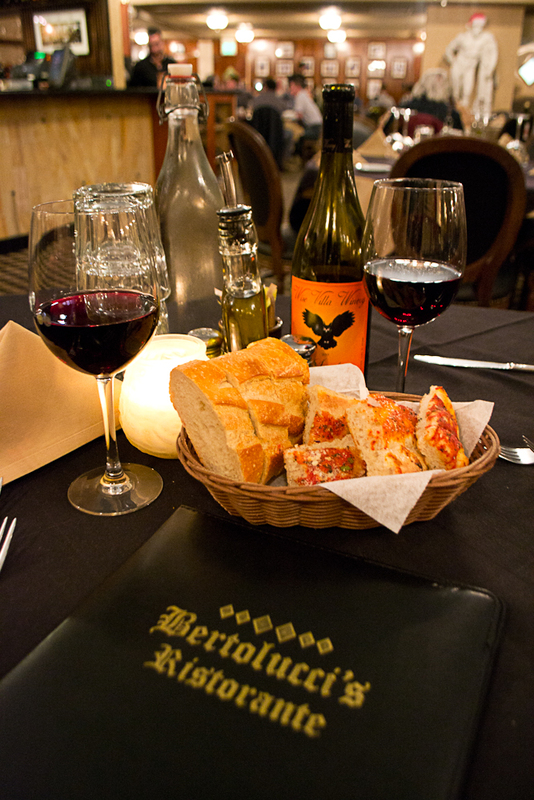 We celebrated our anniversary at Bertolucci's Ristorante in South San Francisco. This is hands down one of our favorite local Italian restaurants. With a Romanesque ambiance, exceptional pasta and steak, and all of the beloved crooners completing your dining experience - we highly recommend it! For year three, in following with traditional anniversary gift-giving, we set a $50 spending limit and had to find something for each other in leather. 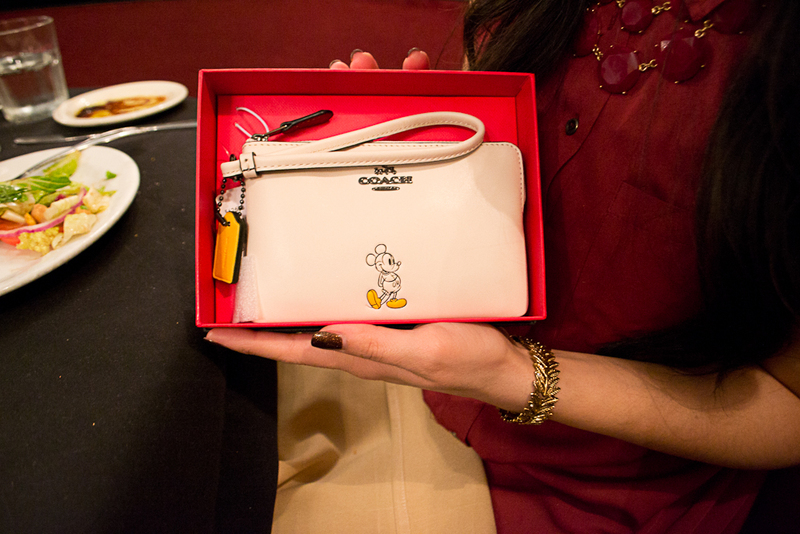 Derek exceeded my expectations with this darling Mickey Mouse, Coach wristlet. I can not wait to use it on our next trip! And I found a more gentlemanly piece for Derek's gift, a personalized leather bow tie from Germany by CraftiveLeather, thank God for Etsy! It was adorably and thoughtfully packaged by the seller and Derek loved it! If you need help in finding that perfect gift for your next anniversary celebration and would like to participate in either a traditional or modern style of gift giving uniquely for your year, check out Wedding Anniversary Ideas for Every Year by the Azazie Wedding Blog! We split up at the mall, in search of the perfect $10 gift for one another with only 45 minutes to complete the task. This date was exciting, low-cost, short, and sweet. It can be a challenge walking around the mall at Christmas time with only $10 cash in your pocket to spend, but it was interesting to see what we came up with in the end! I found a set of six metal puzzles for Derek to wrestle with in his free time. 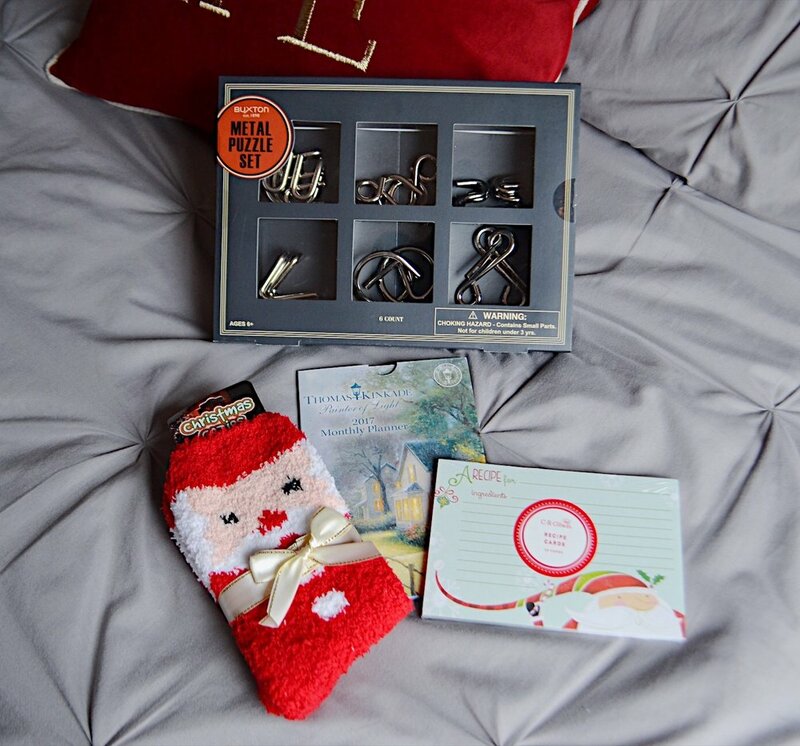 And he found me fuzzy Santa socks, along with a stack of Christmas recipe cards! What fun! I also got a bonus (outside of the $10 limit) Thomas Kinkade pocket planner! He knows me too well. We continued our third anniversary celebration with a "stay-cation" at The Garden Court Hotel in Palo Alto, CA. Sometimes getting away for an anniversary isn't always an option. But spending the night in a hotel not too far from home will always feel like quite the escape! With luxurious features, a balcony overlooking the courtyard, and an in-room fireplace, I felt completely whisked away to a foreign country! Derek also surprised me with hanging our wedding stockings just above the fireplace in our room; a romantic reminder of all we have to be thankful for. The Garden Court Hotel is located just off of University Avenue, a beautifully adorned street with the best boutiques and restaurants in the area! We went on a brunch double-date! Double-dating is a special kind of treat. There's nothing like getting together with like-minded couples in the same season of life as you! Especially a couple like the Sowells; they never cease to encourage, challenge, and affirm us. We feed off of their love and respect for one another and always leave excitedly anticipating our next double-date with them! 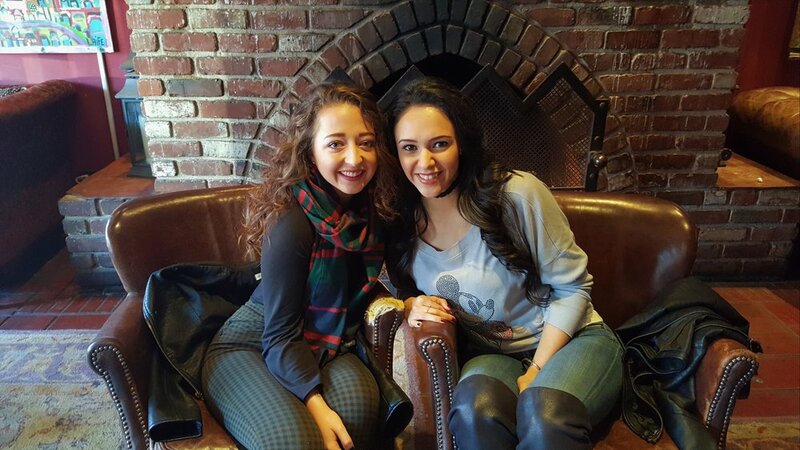 We had the most delicious brunch at Nola's in Palo Alto. It's Cajun and Creole style menu paired with the New Orleans atmosphere and décor is to die for. Okay, maybe not die, that's a little extreme. But you get the idea. I recommend the beignets and a plate of the chicken and waffles, it's large enough to share and mouth wateringly-delicious! We spent the day inside having a Christmas Movie Marathon. 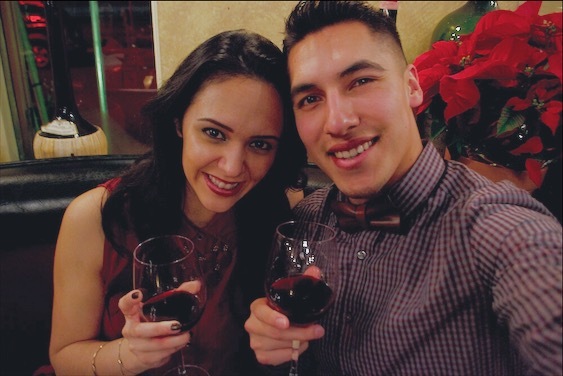 This is an easy and free tradition Derek and I implemented in our first year of marriage. Our movie selection ranges from classic, animated, modern comedies, and Netflix originals. This also allows for an efficient amount of time spent wrapping presents! Anytime we can stay in our comfy-cozies, and not leave the house on an otherwise busy December day, solely devoted to slowing down and relaxing is a "Heck, Yes!" in my book! 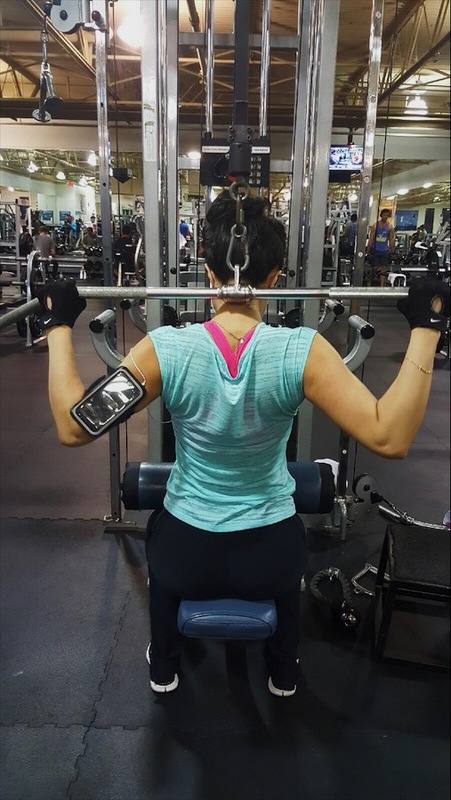 We had a date at the gym! Derek and I haven't been able to work out with each other in a while due to conflicting schedules, so it was nice breaking a sweat together in the middle of the holiday-over-eating season. Plus, this is the epitome of bonding when it comes to my hubby, not to mention I get to check out all of his flexed muscles the entire time, so I'm all about it! We went on a neighborhood Christmas lights walk! If you're in the South San Francisco area, the Chestnut Christmas Lights in Parkway Heights, have been spreading Christmas cheer for years. This is a free way to spend 30 minutes walking with your spouse (and kids if you'd like) getting into the Christmas spirit! Derek and I brought along some hot egg nog in our Disneyland holiday mugs and dreamt of our future home and it's decorations! I decided we will live in a spirited area like this one, and if we can't find one, I will then become the founder of the new Christmas Lights Committee in our neighborhood. Go, future me! Well, I hope you enjoyed going on some Christmassy and Non-Christmassy dates with Derek and me! 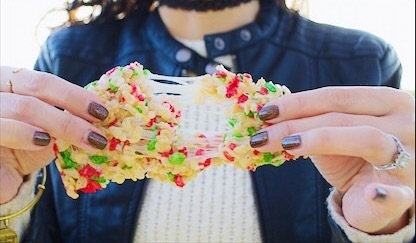 What's your favorite type of date this time of year? Comment below!